Anyone else feeling tired? I’m always so ambitious when planning curriculum, but half-way through the year of actually doing it, I’m spent! This year has been particularly bad. I think I took on too many projects last summer. As a result, I didn’t spend enough time lounging by the pool reading, and the lack of cumulative rest caught up with me in the fall. Thankfully, our recent family vacation to Barbados helped a lot and I feel much better now. Still – for sanity’s sake, I spent some time before we left going through everything on our regular rotation with the aim of simplifying where possible. Here are the changes we’ve made recently. We’re still reading aloud in French 4x/week, but instead of each child having their own book, we now all take turns reading a page at a time from a Cabane Magique (Magic Tree House) book. Both kids can read this series well, and they find the stories interesting. This isn’t a time savings, but it does simplify life in that there are fewer library books to keep track of. Structured French lessons are still on the to-do list 4 days/week, but I dropped the topical unit studies that we had been doing previously. They were taking too long to prepare, it was getting harder to find good resources, and the activities were just getting to be too much. We’ve now moved to loop scheduling in this area. In a nutshell, loop scheduling is a rotation of activities. Rather than assign activities to a certain day of the week, you just do the next thing in the loop every time you have the loop in the schedule. If you miss a day, the schedule just gets bumped out. Day 1: En Français SVP / Volet sur le Français. This is a curriculum series that I reviewed here. Each child has their own book they are working from. They read a story aloud and then work through the activities. Day 2: Vocabulaire / lecture. We each choose 3 words from our read-aloud for the day. We look them up and write down the definitions and a sample sentence in French using the word. Then, before we do this activity again, we’re each supposed to use all the new words in a sentence in regular conversation 3 times. This can be easy or challenging depending on the word. I made a worksheet to keep track of this activity – download it (free) here. Our current versions are in the kitchen being checked off as completed. Day 3: Raconte-moi une histoire (tell me a story). We make up a silly story together, each adding one sentence at a time. This hasn’t worked as well as I’ve hoped – the kids don’t like it, so I may drop it. We’ll try a few more times and see how it goes. Day 4: Play a board game in French. We used to do this as a separate activity twice a week, but it just became too much. We cycled through the games that are playable in French and started getting bored. So now it shows up in our schedule once in the loop and we’re more enthusiastic about it. Some of our games take a few hours to play. When we have a long game, I drop some of our other to-do’s for the day to make time. You can check out some of the games we’ve used for French practice here and here. Day 6 : Vocabulaire / lecture (same as day 2). Day 7: Novel study. This takes us more than one day. 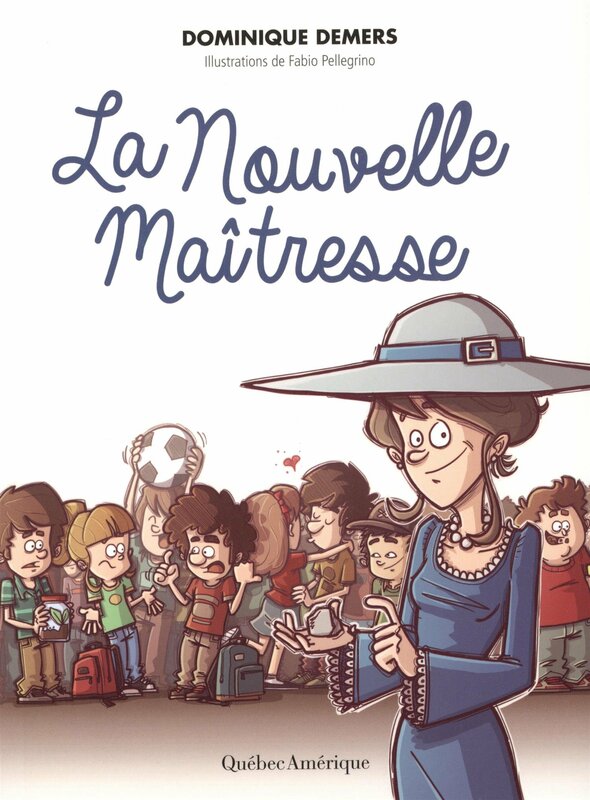 Our current novel study is Une nouvelle maitresse by Dominique Demers. I found an accompanying study guide on Teachers Pay Teachers that we are using. We do one chapter’s worth of activities per day. We’ll keep working on the novel study until we’re done and then we’ll go back and re-start the loop at day 1. We had been preparing a recipe in French once a week, but I dropped this completely in January. It was too hard to find good recipes written in French, which made the preparation time too much for the language practice value of the activity. 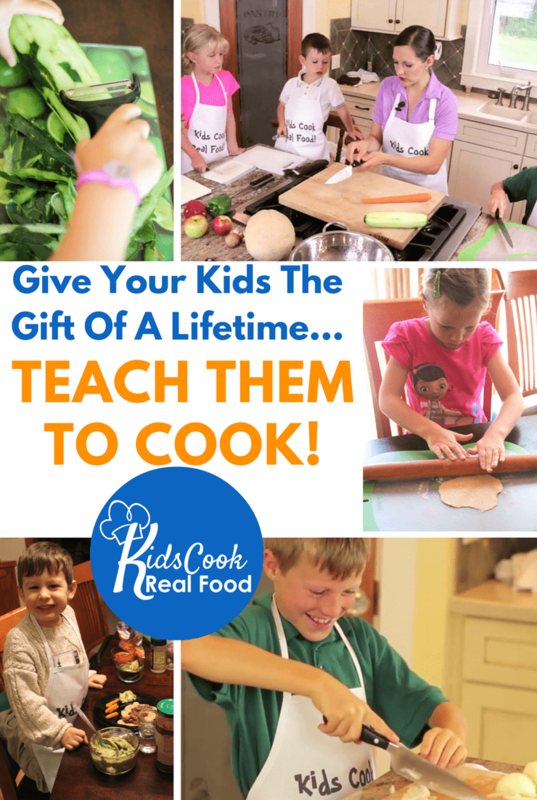 We finished the Kids Cook Real Food eCourse that we had started last summer and have recently started working on The Flavor Crash Course from Revived Kitchen. The kids are also still getting lots of practice in the kitchen, with each of them cooking a meal for the family once every other week or so (even though that happens in English!). Everything else is pretty much the same as it was at the beginning of the year – you can read our full routine here or what we did when my kids were younger here. Even with just these few minor adjustments, my teaching stress has gone down. 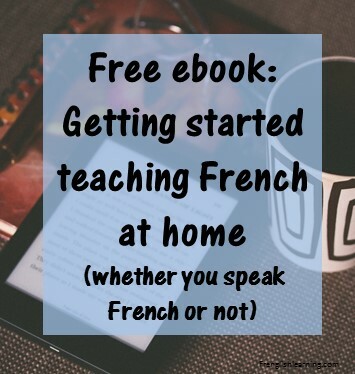 When I’m less stressed out, I naturally speak French more without even thinking about it, which is giving the kids more practice without as much effort. Less effort with more results is a good thing! 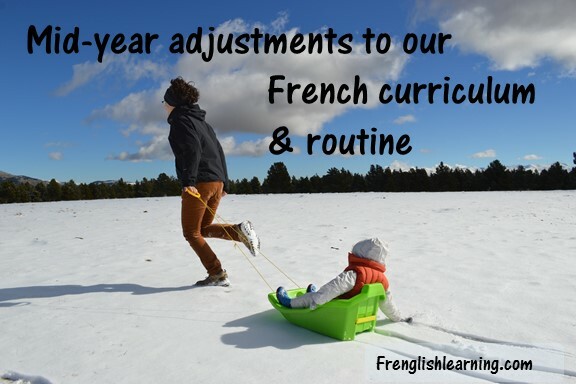 Have you made any mid-year adjustments to your routine? This entry was posted in 4-6 years, 7-10 years, Advanced, Bilingual parent, Curriculum, Immersion, Intermediate by Leanne. Bookmark the permalink.